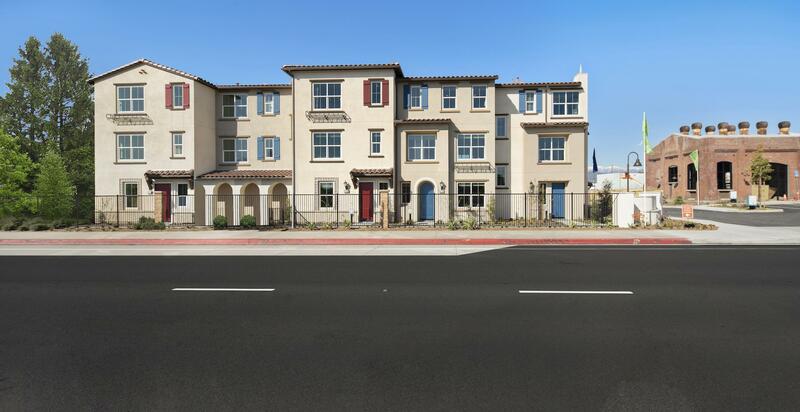 Experience family-friendly living in the San Gabriel Valley by Brandywine Homes. Enjoy spacious and contemporary 2-4 bedroom, 2.5-3.5 bath, 3-story townhome floor plans that are open and incredibly inviting. Unique features include large kitchen islands, private balconies and decks to enjoy fresh breezes. Dens offer a tranquil space for a convenient home office or reading room. The inspired master suites receive lots of natural light and include generously sized walk-in closets, hand-selected upscale finishes, dual sinks, and separate enclosed showers in select plans. When you venture out, the entire family can stay active at Baldwin Park Aquatics Center and with plenty of youth sports. Getting to Los Angeles for work or play is easy with convenient access to I-605, I-10 as well as the MetroLink. Only a short drive away, you’ll find Azusa Pacific University, Cal State LA, hiking in Whittier, and much more. Find your dream home and dream life at Palmera by Brandywine Homes.